(NaturalNews) Face it, besides small farmers with integrity, there is no "gray area" anymore between organic and GMO. The corporate powers "that be" have run the conventional market of food and beverages straight into the ground, depleting all nutrients, one way or another, and then adding in toxins. From pasteurizing milk and orange juice to refining sugars and concentrating salts - derived from genetically modified corn syrup or fermented sugar beets. From hydrogenated oils to cancer-causing soy, the permanently tainted "raw materials" and heart-clogging BAD fats are abundant and as cheap as the ethics of the CEOs that run the show. In fact, there is no pride "to be found" in conventional crop, just pesticides, fluoridated water, artificial colorings, artificial flavorings, and of course, toxic preservatives that kill fungus, mold and humans! These corporations couldn't afford the advertising you see on TV if they didn't cut every corner on quality, and so their crops come from genetically modified bug-killer and weed-killer-seeds, and they've been doused daily with toxic sodium-fluoride-water that's a mix of American municipal water laced with an industrial waste product used for insecticide in China. Watch the video called the "Fluoride Deception" to know more on that. It's crucial to your health. Conventional food isn't just conventional anymore and the grey area that used to be non-corporate but small to mid-sized (mid-scale) farming is now owned by Big Food and Biotech. 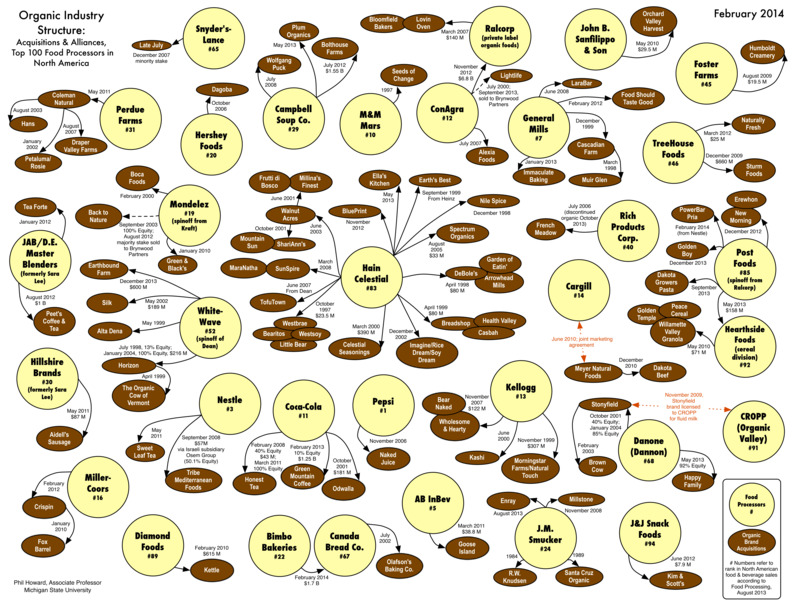 Even many popular organic companies are now owned by evil corporate entities, and you may find yourself surprised by the latest "sellout" list, when you find companies like Kashi, Silk, Spectrum, Bear Naked, Boca, Naked Juice, Green Mountain Coffee, Brown Cow, Stonyfield, Santa Cruz, Earth's Best, Back to Nature, Garden of Etin' and yes, Horizon have all been bought out. Check the list for other brands you thought were still organic if you haven't seen Cornucopia's organic "sellout" map. That means the corporations have control of those companies and could have already altered ingredients or any ingredient's quality for profits, thus affecting your health if you waste your dollar on it and eat it, drink it or even apply it to your skin, hair or teeth. 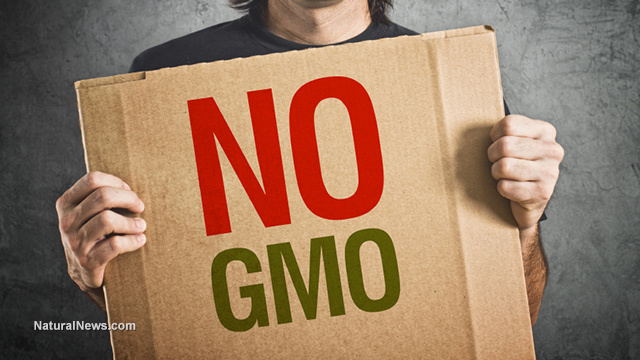 You won't see labels for GMO in America any time soon because Congress likes money more than doing its job, which should be protecting America from harm and letting the people be independent thinkers who care about the environment and food quality. You won't see labels for GMO in America because the food "czars" are already in place, and because the politicians do exactly what the richest global investors tell them to do, after taking the millions in bribe money that's legalized through lobbying and insider trading. Glyphosate is being spread on corn and soy like it's some kind of Food Holocaust, and more than 90 percent of Americans are in FAVOR of labeling GMO as such, but that doesn't matter. Have you heard of TPP or the DARK Act? Have you heard of Mike Pompeo (R-Kan)? He wants to make it illegal for US states to label GMO. Yes, he authored a bill. Get informed. Mike Adams, Editor-in-Chief of NaturalNews, has been researching heavy metal toxins in foods in his Forensic Food Lab for years and revealing shockingly high levels of arsenic, lead, aluminum, cadmium, tungsten, mercury (listed also as thimerosal*) and more in all kinds of foods (and flu shots*) you may otherwise never suspect. Even some certified organic foods from China contain alarmingly high levels of these toxins due to extremely high levels of industrial waste being spilled on farming lands across regions that produce popular US foods and food ingredients nobody should ever be eating. Meat and dairy products can also contain drugs given to animals that suffer in CAFOs (confined animal feeding operations). Consumers need to read the stories and be aware of this contamination that breeds cell disorder, cell destruction, bone marrow loss, brain damage, liver failure, kidney disorders and heart disease that would otherwise be preventable. The CDC and FDA are not looking out for you either. They don't do the research and publish it like the Health Ranger is doing right now. This information is free to public, by the way. The politicians, global bankers and corporations don't really have control. You have complete control as a consumer by controlling every dollar you spend. Be careful NOT to spend money on useless and harmful garbage food. Never eat genetically modified food because it contains pesticides that fuel cancer in your body. One in three Americans get cancer in their lifetime and only half will survive it. Don't be a statistic. Get informed and support organic and sustainable farming businesses. Step up to the plate right now and improve your knowledge, health and lifestyle choices. Always investigate your food, medicine and personal care products for contaminants. It's in your best interest to do so.